It’s been almost a month since the start of a Turkish military operation against Kurdish militia in northern Syria. The Syrian army should take the main responsibility for the defense of Afrin against a Turkish invasion, the commander of the Syrian Kurdish YPG militia Sipan Hemo told Al-Mayadeen TV on Monday. 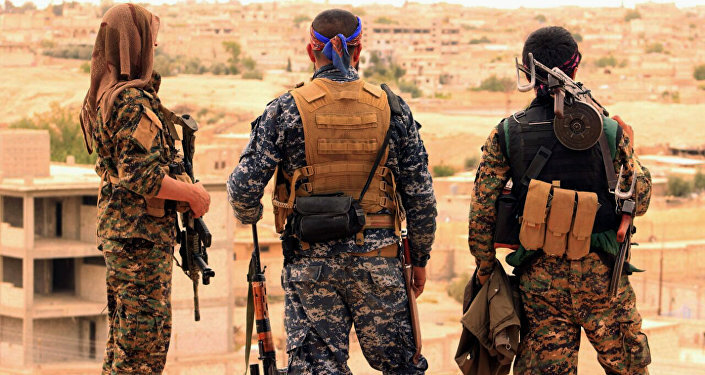 “There is a great deal of coordination between YPG fighters and the Syrian military,” Hemo said. According to the pan-Arabic newspaper Al-Hayat, Syrian Army checkpoints deployed west of Aleppo are letting through food, fuel and staples for the 1.5 million residents of Afrin. Kurdish volunteers from Sheikh Maqsood, Kobani and other places are reportedly making their way to Afrin where YPG units have been holding out against the advancing forces of the Free Syrian Army (FSA), backed by Turkish tanks, artillery and aviation. Several Turkish tanks have been detroyed, a warplane and a drone shot down and 185 FSA fighters, including several field commanders, killed. Turkish forces have lost 27 officers and enlisted men and 148 YPG fighters have also been killed. The Turkish military launched Operation Olive Branch on January 20, against Kurdish YPG forces, which Ankara believes have links to the Kurdistan Workers’ Party (PKK), outlawed in Turkey. Damascus has condemned the operation as “treacherous aggression” and an assault on the country’s sovereignty. Russia, meanwhile, has urged all parties to exercise restraint, and called for the warring sides to respect Syria's territorial integrity.